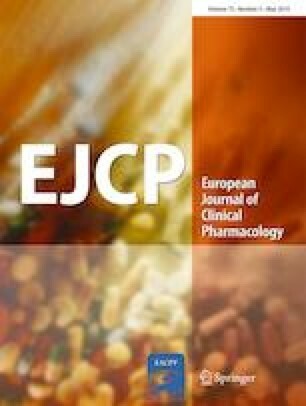 Establishment of causality between drug exposure and adverse drug reactions (ADR) is challenging even for serious ADRs such as Stevens-Johnson syndrome/toxic epidermal necrolysis (SJS/TEN). Several causality assessment tools (CAT) exist, but the reliability and validity of such tools is variable. The objective of this study was to compare the reliability and validity of existing ADR CATs on SJS/TEN cases. Seven investigators completed three CAT (ALDEN, Naranjo, Liverpool) for 10 SJS/TEN cases. Each CAT categorized the causality of 30 potential drugs as definite/very probable, probable, possible, or doubtful/unlikely. An additional reviewer provided expert opinion by designating the implicated drug(s) for each case. A Kappa score was generated to compare CAT responses both by method (reliability of all 7 reviewers, by CATs) and by reviewer (reliability of the 3 CAT, by reviewer). A c statistic was calculated to assess validity. Inter-rater reliability by CAT was poor to fair: ALDEN 0.22, Naranjo 0.11, and Liverpool 0.12. Reliability was highest when causality classification was definite/very probable (0.16–0.41). Similarly, intra-rater reliability by reviewer was poor. When comparing the validity of the overall CAT to expert reviewer, area under the curve was highest for ALDEN (c statistic 0.65) as compared to Liverpool (0.55) or Naranjo (0.54). Available CAT have poor reliability and validity for drug-induced SJS/TEN. Due to the importance of determining ADR causality for research, industry, and regulatory purposes, development of an enhanced tool that can incorporate data from immunological testing and pharmacogenetic results may strengthen CAT usefulness and applicability for drug-induced SJS/TEN. • Establishment of causality between drug exposure and serious cutaneous adverse drug reactions is challenging. • Three existing causality assessment tools performed poorly when assessing causality for drug-induced Stevens-Johnson syndrome and toxic epidermal necrolysis. • Future work on developing an enhanced tool that can incorporate important clinical and genetic data may improve the usefulness and applicability of causality assessment tools for serious adverse drug reactions. The online version of this article ( https://doi.org/10.1007/s00228-019-02670-9) contains supplementary material, which is available to authorized users. The authors would like to thank Jyoti Gupta and Ceclia Dupecher for assistance with data collection and coordination. This study was performed by a NIH SJS/TEN Standardizing Case Definitions Working Group. MP thanks the MRC Centre for Drug Safety Science for the support. Dr. Goldman contributed to the concept and design, analysis and interpretation of data, drafting, and revising of the manuscript. Dr. Chung contributed to the concept and design, acquisition of data, analysis and interpretation of data, drafting, and revising of the manuscript. Dr. Lee contributed to the concept and design, analysis and interpretation of data, drafting, and revising of the manuscript. Dr. Chen contributed to the acquisition of data, drafting, and revising of the manuscript. Dr. Lu contributed to the acquisition of data, drafting, and revising of the manuscript. Dr. Hoetzenecker contributed to the concept and design, analysis and interpretation of data, drafting, and revising of the manuscript. Dr. Micheletti contributed to the concept and design, analysis and interpretation of data, drafting, and revising the manuscript. Dr. Yasuda contributed to the concept and design, analysis and interpretation of data, drafting, and revising the manuscript. Dr. Margolis contributed to the concept and design, analysis and interpretation of data, drafting, and revising the manuscript. Dr. Shear contributed to the concept and design, analysis and interpretation of data, drafting, and revising the manuscript. Dr. Struewing contributed to the concept and design, analysis and interpretation of data, drafting, and revising the manuscript. Dr. Pirmohamed contributed to the concept and design, analysis and interpretation of data, drafting, and revising the manuscript. JLG received support by a CTSA grant from NCATS awarded to the University of Kansas Medical Center for Frontiers: The Heartland Institute for Clinical and Translational Research KL2TR000119. MP is a NIHR Senior Investigator, and is also supported by the NIHR North West Coast CLAHRC. Since the data received by the SJS/TEN Standardizing Case Definitions Working Group was de-identified and no potentially identifiable variables were provided, no ethical approval was needed.